#5 Custom Printing Options [5customdesign] - $10.00 : Tightwad Tees , Screen printing, embroidery, and design services with no minimums and unbelievable pricing!! 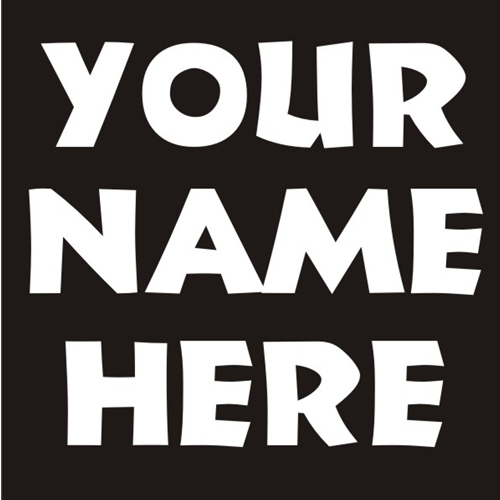 Want your name on the back of your funny and offensive t-shirt? Or do you want it above the number on the back of your funny and offensive team t-shirt? We can do that. Just contact us at mary@tightwadtees.com and we'll direct you to order the specific shirt and come here to order the name option. Since we are "old skool" screen printers, a screen will have to be made to print the names. Fortunately, we can put several names on one screen, so depending upon the number of names, there may only be one charge involved.